The American Continent was settled by migrating people coming from the Bering Straits about 15-35’000 years ago. Some of these hunting and gathering nomadic tribes settled in Costa Rica between 1200-8000 BC. Around 1000 BC the societies developed from nomadic to agricultural subsistence and the polytheistic natives began to grow beans, corn and tomatoes – as in most of Central America. Artisans began to fashion crafts such as necklaces, ceramics, ocarinas and the famous metates (sculpted stones for grinding crops). Being situated between North- and South America, Costa Rica was always an area of cultural interchange, mainly influenced by the Maya and Aztecs. In contrast to these two high cultures the Costa Rican natives lived in small communities and left only little evidence behind. The natives on the Caribbean were oriented towards Panama, Columbia and Ecuador, with whom they traded. 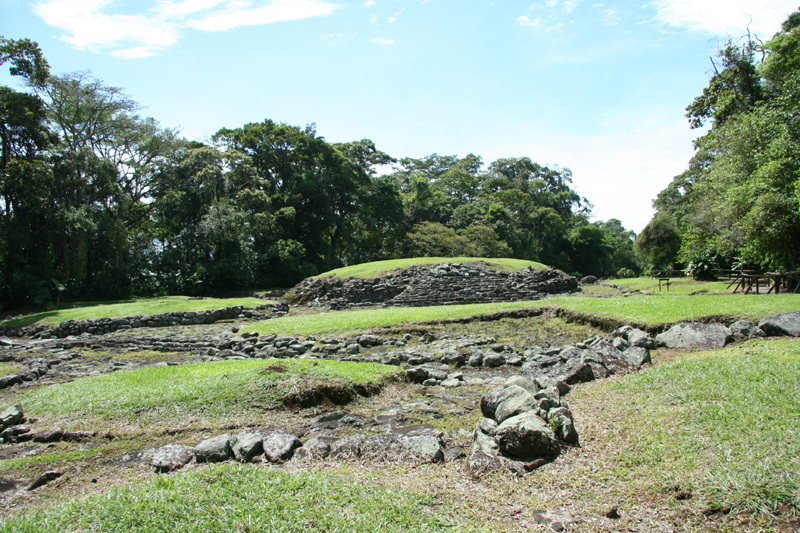 The settlers on the Pacific side – especially in Nicoya – were more influenced by indigenous groups of Mesoamerica until 500-800 A.D., when the Mayan culture was replaced by a stronger South American influences. Small hierarchies began to develop during the first centuries after Christ. Villages were united under a cacicazgo (chieftainship), with the cacique(chief) on top of the hierarchy. With increasing agricultural differentiation the settlements became larger and a political hierarchy with strong military and religious nobility was established. The small tribes often led merciless wars. They lived in a feudal social structure in which men owned slaves (often prisoners of war). The natives had an animist religion, i.e. they believed that good and evil spirits inhabited the forest and were responsible for natural phenomenons. Human sacrifices and cannibalism were practiced (women and young people being the major victims) in the northwest. The ritual consumption of drugs (tobacco, hallucinogenic mushrooms, corn alcohol) was common and the effects of numerous medicinal plants were well also known. It was during this time that the Spaniards went ashore, erasing most traces of the ancient civilizations. Despite the Costa Rican tribes adaptation to frequent war, the Spanish threat was of unknown dimensions and hard to combat. Although Costa Rica was discovered by Christopher Columbus in 1502 its subjugation came late – but with a vengeance. Central America was conquered from northern Mexico and from southern Panama, mostly between 1519 and 1523. By the sixteenth century Costa Rica was inhabited by around 400‘000 indigenous people of whom the majority were located in the Central Valley and the Pacific Northwest. By 1569 the Spaniards had established themselves in the country and there were 120‘000 indigenous people, and by 1611 there were only 10‘000 left. This decimation was mostly due to epidemics such as smallpox, measles, influenza and typhus. Interestingly, the Spanish crown prohibited the enslavement of indigenous people already in 1500, but such edicts were annulled and reinstalled several times. The American natives were considered subjects of the Spanish crown and therefore not to be enslaved (although this did not exclude forced labour). However, a method of “hidden slavery” was established with the encomienda system: the regional conquistadores were assigned between 30-40 natives for compulsory labour. But because the indigenous “slaves” were not paid for, they were treated badly and many of them died. In 1536 the encomienda was changed into a poll tax for the indigenous population. In 1548 the Audiencia de Santiago de Guatemala was founded, which had jurisdiction over the territory from southern Costa Rica up to Chiapas, Mexico. This had a somewhat culturally unifying impact on Central America, as this “Kingdom of Guatemala“ was fairly autonomous from the Viceroyalty of New Spain (Mexico). Yet, the vast extent of the subcontinent and the distance from Spain led to governance difficulties. Especially the remote Caribbean side with its uncomfortable climate and rebellious indigenous people remained practically unconquered. (The Caribbean remoteness led to an interesting situation all over Central America: it was mainly conquered from the Pacific side because the Caribbean was dense with jungle. Later, the access from the sea was restricted due to (mainly British) pirate activities and became too risky. Hence, the Caribbean was exposed to much less Spanish influence – which can still be felt in its present culture.) The Central Valley – now the country’s most populated area – was also conquered with difficulties. Groups of indigenous people resisted for long but were gradually driven into remote mountain areas – where their few descendants still live today. 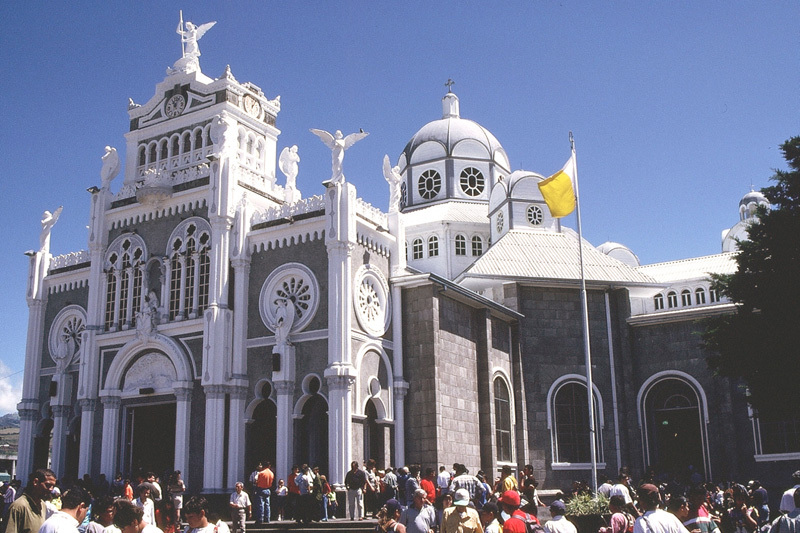 The first capital, Cartago, was founded in 1564, but indigenous uprisings were frequent and Spanish control was only fully established at the end of the sixteenth century. Unlike other regions of Latin America, Costa Rica remained a poor, marginal colony, because of its lack in natural resources (especially gold – although Columbus named Costa Rica “the Rich Coast“ the presumed gold was never found here). The first European settlements were concentrated in the Central Valley around Cartago. By the end of the sixteenth century Costa Rica participated in colonial trade, mostly with foodstuffs such as corn, beans, honey and chickens. During the seventeenth century mule export became increasingly important. The mules were raised in the Pacific Plains and the Central Valley and exported to Panama (where they were used to cross the isthmus). Because of competition from Honduras and Nicaragua the industry switched to exporting leather and lard after 1650. These were the early beginnings of Costa Rican cattle breeding. Finally, after 1650, the cacao boom began. The crops were mostly grown in the Caribbean region. In 1709 the „cacao peso“ became the unit of currency, caused by a shortage of silver. An important element for the developing economy was slavery. At first, the conquistadores were assigned the right to demand free labour from their indigenous subjects. Slave traffic from the Caribbean was linked with cacao trade and rose particularly from 1690-1730. After 1750 slavery began to decline, some slaves were given the opportunity to buy their freedom and racial mixture (mestizaje) increased in the eighteenth century. During the eighteenth century peasant agriculture expanded from original settlings in the eastern Central Valley (Cartago) towards the west (Heredia, San José, Alajuela). There were many small farms, mostly family properties (called chácaras) which grew crops and raised cattle, pigs and fowl. The cultivation of tobacco and sugar cane led to small upswings at the end of the eighteenth century. When the Spanish colonial hegemony was overthrown in Mexico in 1821, Central America gained its independence and free trade began to flourish. But the real boom began with the export of the „Golden Bean“ – coffee – after ca. 1830. By 1848 Costa Rica already exported 100‘000 quintals of coffee. This development changed the farming culture into capitalist enterprise, establishing credit institutions and land privatisation. A new class of merchant families, the cafetaleros, emerged. They monopolised credits (e.g. loans to pay for the coffee harvest), constructed beneficios and controlled import and export trade. At the beneficios the coffee was collected, stripped of its skin and husk and prepared for export. But somehow, subsistence farming could prevail and the expropriation and privatisation of common land was delayed. Yet, there was a shift, and poor peasants cultivated virgin land when their birth land became too expensive due to coffee growing. The early 19th century was a period of awakening patriotism in Latin America. The former colonies were unhappy with Spain’s economic policy, which was oriented solely on benefits for the European mother country. Especially the protectionist trade policies led to strong discontent in Latin America. After being invaded by Napoleon’s army (in 1807) Spain’s influence and its legitimation as a colonial power was significantly weakened. Growing awareness of national patriotism – additionally driven on by examples of the French Revolution and US-American separation – were the consequence. Still, the Latin American nations did not consist of a unified people, but were rather divided into groups of Creoles (whites born in America), mestizos (mix of Amerindian and European ancestry), indigenous groups and African descendants. Creoles were the propertied class and hence disinclined to share power with less well off groups – afraid of losing their vast estates (haciendas). Independence would not be possible without their support. After the deposition of the Spanish king by the French in 1808 juntas were built in Spain and all over Latin America. But it took over a decade before the states’ autonomies came into effect. When Spain’s colonial reign in Mexico was overthrown in 1821, Costa Rica gained independence. In 1823 the Central American Federal Republic was founded, which lasted only until 1840. Costa Rica had only small relevance in the federation and while it was shaken by conflicts and civil war, the fate of the republic was determined in Guatemala and El Salvador. After almost twenty years of fights between (mainly) towns of the Central Valley, San José emerged as victor and became the capital of State. Later, when the independent Republic of Costa Rica was proclaimed in 1848 it became its capital. Why exactly Costa Rica was spared the fate of ongoing civil wars – which most other Latin American countries went through after their independence – is hard to tell. A fortunate condition was probably the small extent of professionalised armed forces and the negligible relevance of military status (due to its small indigenous population and its economic irrelevance Costa Rica was never an important military outpost of the Spanish and therefore not considerably armed). But the country also managed to escape the horrible civil wars of Central America with diplomatic efforts. President Mora was deposed in 1859 and the subsequent period was marked by competing merchant clans, struggling for power in the vacuum left by the drawback of Spanish colonial authority. Well into the 20th century elections were subject to frequent fraud and determined by secret transactions and interference by the military. The coffee wealth became apparent in San José by 1850: two-storey buildings, street lamps, pavement, cabs and stores characterised the city. The higher classes‘ taste was distinctly European. The first printing press arrived in San José in 1830 and schooling was sponsored by the municipalities. In 1897 The Teatro Nacional was inaugurated with a concert of Gounod’s Faust. In urban areas, Enlightenment, Liberalism and Modernism were embraced while the rural villages preserved their local identities with ties to Catholicism and colonialism. It was only in the early 20th century that Costa Rica’s economy began to diversify and slowly expanded its industrial sector. Like most Latin American countries, its economy was based almost exclusively on the export of natural resources – in this case mainly coffee and bananas. In fact, the banana companies gained increasing influence on the Caribbean coast after the foundation of the United Fruit Company in 1899. The company established a monopoly throughout the Caribbean. The imperialist control of America became strong as military bases were established in Panama to protect the Canal Zone and US economic interests in 1903. Nicaragua was occupied by US-Marines between 1912 and 1934. 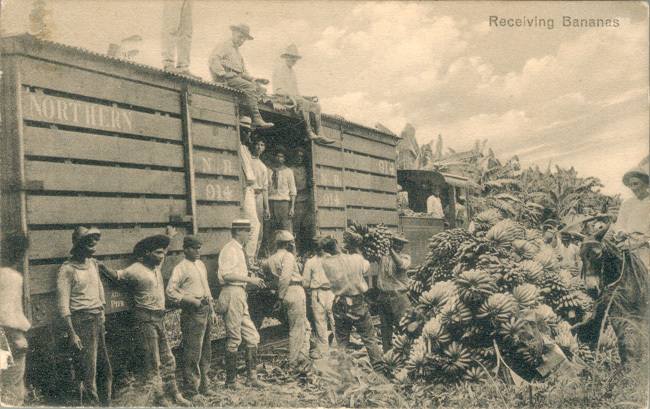 With the expanding banana culture many immigrants from Jamaica and China arrived to work in the plantations and build the railroad to San José. The Anglophone/Caribbean influence is still perceptible today in the Limón area, where English is spoken. At the same time, sugar cane plantations in the Central Valley and cattle breeding in Guanacaste increased. Land and power were distributed among a small group of a white farming elite, who shared political and economical power between themselves. Nevertheless, Costa Rica’s political system was quite progressive (compared to Latin American standards): the death penalty had already been abolished in 1882 and the direct vote was introduced in 1913. Although coffee and banana farmers tried to extend their plantations, there was a movement of small self-supplying farmers, struggling to retain some land in order to survive. Labour movements gained increasing influence after the global economic collapse of 1929 (when the value of exports fell from 18 to 8 million $). Particularly in the banana zone workers began to organise and went on (sometimes violent) strikes under Communist leadership. In 1933 the Institute for the Defence of Coffee was created to rearrange relations between merchants and farmers. In 1935 a law was passed to set a minimum wage for agricultural workers and in 1940 the 8-hour working day was introduced. A social security system was established in 1941 and President Rafael Ángel Calderón Guardia laid the foundations of a welfare state when social guarantees were written into the constitution. A young dissident named Mario Sancho wrote a book named “Costa Rica, Switzerland of Central America”, which described and predicted problems of an emerging two-class-society at the height of the depression. The title is often referred to today (with mostly positive connotations), however unaware of the real significance of the book’s content. The details of political developments in 20th century Costa Rica are quite complex. There were rarely any permanent alliances and various political forces were basically trying to expand their personal influence. Calderón Guardia built an alliance with the Communist party in 1943. He had difficulties defending it due to US-American interests of keeping Communism off what they called their “back yard”. After accusations of electoral fraud in 1944 José Figueres Ferrer organised a rebel army from his Mexican exile, which landed in San Isidro on 13 March 1948. The “Army of National Liberation” defeated the Costa Rican Army in a civil war of 5 weeks (causing 2000 casualties). Despite a compromise between the two sides, Figueres outlawed the Communist party and sent thousands of Calderón’s supporters into exile. A Junta under Figueres’ leadership took command for eighteen months – their most famous act was to be the first country in the world to abolish its military. This is probably a big reason why Costa Rica’s history differed from its neighbouring countries thereafter: the militarisation of the elites was forestalled and hence an amount of potentially huge expenses would be available for other purposes. On 8 January 1949 the constitution of the Second Republic was written and women were given the right to vote. From 1950 to 1978 the economy began to thrive and an important industrial and agricultural diversification finally took place. Employment in the public sector rose to 10% and the state invested significantly in schools, roads, hospitals and other infrastructure. Literacy increased to about 90% and the unemployment rate decreased to 5%. At the same time Costa Rica’s population grew from 800’000 to 2 million and San José transformed from a small colonial town into a chaotic metropolis. In 1980 Costa Rica’s economy was hit hard by decreasing coffee prices and the oil shock: while he price level rose revenues were falling. Unemployment rose to 10% and there was a hyperinflation of almost 100% annually. This situation was made worse by the withdrawal of the United Fruit Company from the Pacific lowlands. Costa Rica had to borrow heavily from the World Bank to maintain its infrastructure and has a high foreign debt since. The 1980s were also politically tough on Central America as the US was operating in various countries. President Monge declared Costa Rica’s neutrality in order to prevent the establishment of US military bases in the country (in order to support the Contra-war in Nicaragua). Later, president Oscar Arias helped promoting a Central American peace plan, for which he received the Nobel Peace Prize in 1987. It is striking to look at Costa Rica’s history altogether: between 1950 and 1996 it was the only Latin American country whose democratic system did not break down at any time. An important reason for this is certainly the abolition of the army – that way avoiding the establishment of a military elite who would force their interests onto the political system. But Costa Rica also has had a history of solving conflicts through mediation since the first rural oppositions in the Central Valley in the 18th century. The economic sector of tourism began to develop in the 1980’s and is now the country’s main revenue source. In 1955 a law passed that declared areas within a radius of 2 kilometres of volcanic craters to be national parks. In the same year the Costa Rican Institute of Tourism (ICT) was founded and Costa Rica's history of eco tourism began. In 1977 the National Park Services (SPN) was created and in 1998 the organisation of all natural reservations was reorganised under the National System of Conservation Areas (SINAC – Sistema Nacional de Areas de Conservación). Slowly, Costa Rica’s rich biodiversity was being discovered as an important asset and plans for its protection were compiled. By 2007 there were 1.9 million visitors in Costa Rica, thereby contributing with 8% of the GNP and around 13% of the country’s employment. Today, Costa Rica is one of the safest countries in Latin America. Its economy is doing well but the reduction of the budget deficit is still a challenge for politics. However, after concerted efforts in improving social welfare Costa Rica is the least impoverished Spanish speaking country in the world. Its unemployment rate is estimated around 5-6%.